For pilgrims traveling the Camino de Santiago in northern Spain, the scallop shell points the way. 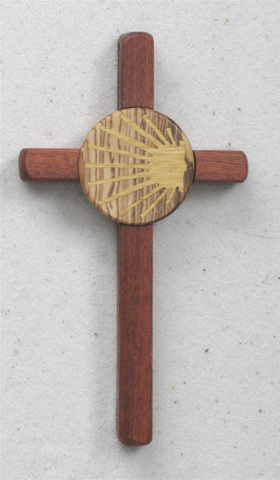 I was asked to design a cross for a family who was making this pilgrimage. The yellow scallop shell (pau amerello) is fitted into an olive wood medallion. This is then set into a cross made of Satine.